Citrus plants are at the most particularly hard to look after, but some important hints can help some of these problems. Recently I had the need to rectify some particularly bad citrus and bone up at what was going on. At first I couldn’t quite grasp why these plants were doing so poorly. The fruit was dry and had no juice. In previous harvests it had juice in the fruit. 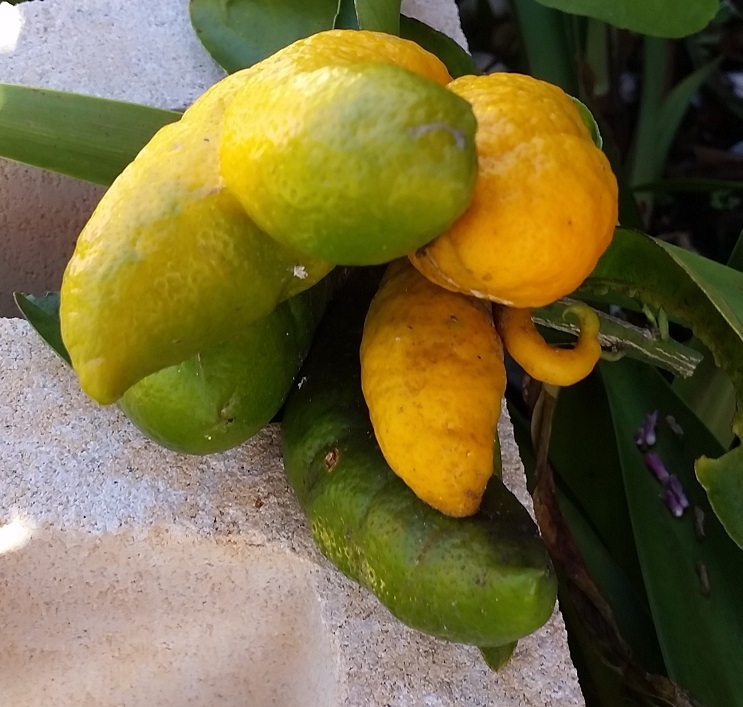 So, I read up extensively about the fruit to find out what could be the problem. I looked over every sickness that could possibly affect the plants, but without speaking to the client I could only guess that they had over fertilised the plants. 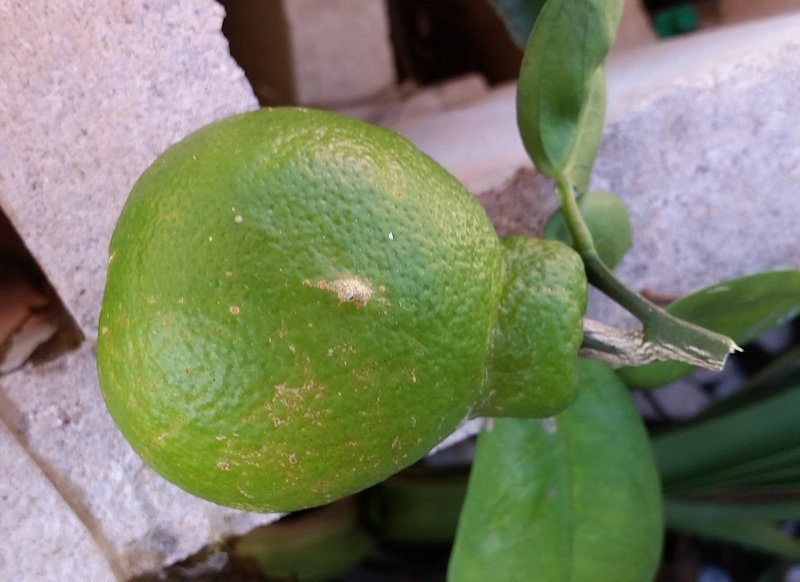 Citrus will have most problems when they are planted in alkaline soil pH 7 +. To get the pH lower use either iron sulphate or liquid sulphur, and water into the soil. This has to be done regularly until the pH is where you need it pH 5.8 (every 2 weeks in summer or every month in winter). Never use dynamic lifter (chicken poo) and don’t fertilise more than prescribed here. The rule of thumb is little and often, rather than big and often. Pruning: get some air flow through the middle of the plant, and cut out the lower branches of the plant. Divide the height of the plant into 3, and cut out the lower third of the plant square with the stem. Cut out any branches that are crossing over and going against the normal growth of the plant. Cut out any galls from gall wasps, and any diseased stems or branches. Mulch the soil surface preferably with an acid pH mulch. On the Gold Coast I recommend tea-tree mulch. If you can scratch some into the surface by all means go for it, but try not not disturb the roots too much as citrus don’t like this. Do it regularly every 6 months at the longest. Water: don’t overwater but keep moist. They will be attacked more often when they are dry, when their health is not at the optimum. Pests: Keep an eye out on some of the worst pests. White louse scale a small white bug in vast numbers on the trunk and thick stems can crack the bark and lead to further problems. Blast the stem with water to get them off. If it happens often just keep doing it. Also aphids are a problem on the new shoots and brought up by ants. Reduce the ant problem and blast the tips with water to get rid of them. If they are there in great numbers they create the black sooty. This entry was posted in Garden Maintenance. Bookmark the permalink.